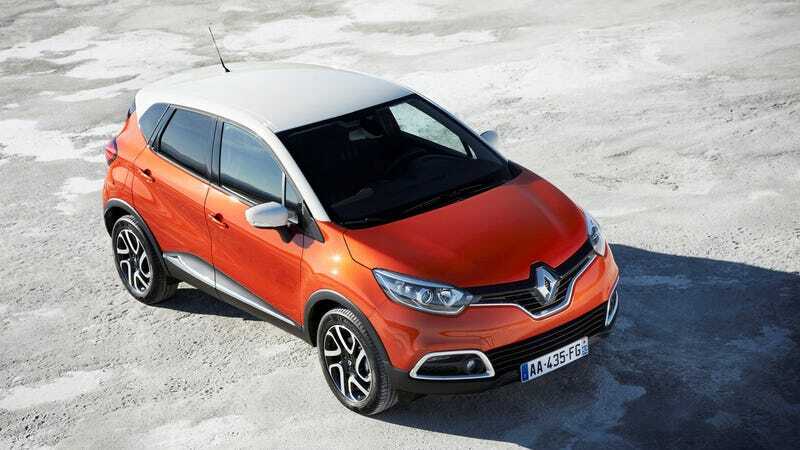 Renault will bring its newest car, the Captur, to the Geneva Motor Show in March. After Peugeot gave us a jacked up 208 called 2008, this is just what Europe needed. This is what Peugeot&apos;s new SUV looks like. So, yeah. Since Nissan is in bed with the French, it's a bit of a surprise that they made a "compact, unaggressive and particularly user-friendly crossover" aimed right at the Juke's costumers. Built on the Clio hatchback's new platform, it will get three-cylinder turbocharged engines, and also a 1.5-litre diesel with 90 horses. Sounds weak, even for a normal-sized Clio, not to mention a fat one. But since Renault is still going to build a new Alpine with the help of Caterham, I will stop complaining right now.